Learn the ropes of cryptocurrency investment with these top-selling courses. The cryptocurrency revolution is finally here, and it's quite possibly here to stay. Although Bitcoin seems to be hogging all the attention at the moment, several other cryptocurrencies are redefining the financial industry, as well, and ushering in a new and more dynamic era of value — and most of these currencies are far more accessible to first-time investors. Regardless of which cryptocurrency you end up investing in, having a solid understanding of how these exciting new coins operate and trade is crucial if you want to make the most out of your portfolio. These three top-selling cryptocurrency courses will teach you everything you need to know, and each is currently available for just $9. 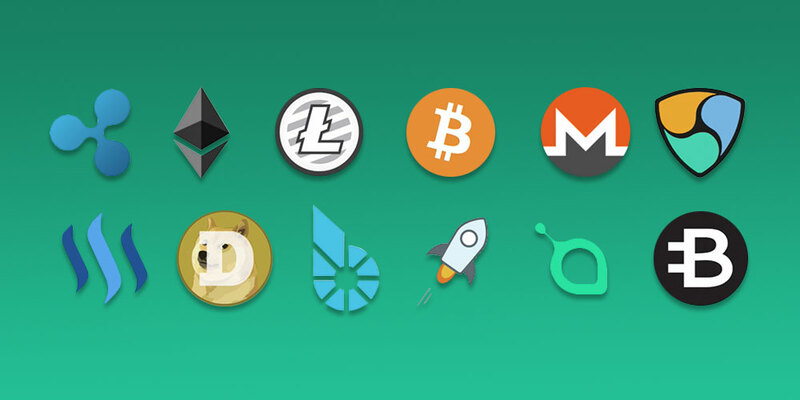 Cryptocurrencies can seem a bit overwhelming and intimidating to first-time investors, which is why this beginner’s guide is the perfect primer for those looking to take advantage of the countless investment opportunities cryptocurrencies provide. Through 27 easy-to-follow lessons, this course breaks down how cryptocurrencies accumulate value, how to determine when (and how much) to invest, how to estimate the real value of the entire market and more. You’ll even learn how to compare your research to the relative position of a cryptocurrency among other types of coins. With the fundamentals firmly in hand, you’ll be able to confidently move on to mining for cryptocurrencies — the process of creating coins through a simple mining system that requires no affiliate marketing, no super-high startup costs, and no cumbersome graphics cards. This is a great way to start making money with cryptocurrencies if you're unwilling or unable to invest big bucks right off the bat. Through mining collaboration alone, you’ll be able to earn up to $1,000 a month with the help of this instruction. If you feel as though you already have the essentials under your belt, and you’re looking for a more comprehensive guide to cryptocurrencies, look no further than the #1 Cryptocurrency Investment Course. This collection of lessons teaches you how to convert Bitcoin into other altcoins, how to harness growth more aggressively to increase long-term returns, how to identify and take advantage of the perfect times to invest, and much more. This course even grants you access to a private community where you can ask questions, discuss strategies, and receive live updates on the market.